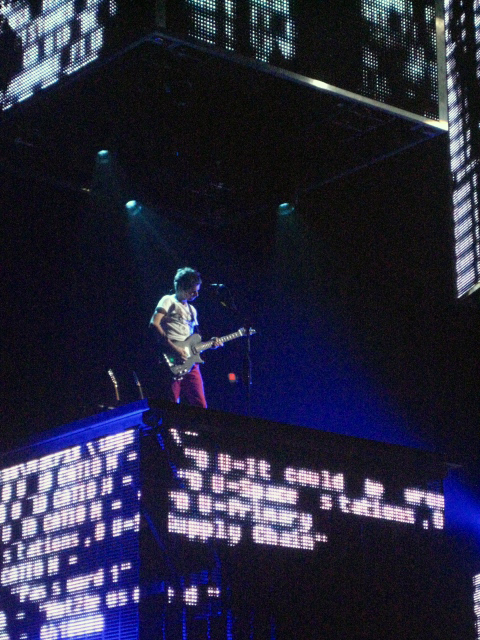 After headlining Coachella, the British rock band Muse made a stop in Raleigh, NC at the RBC Center while they continue their tour for their latest album "The Resistance". 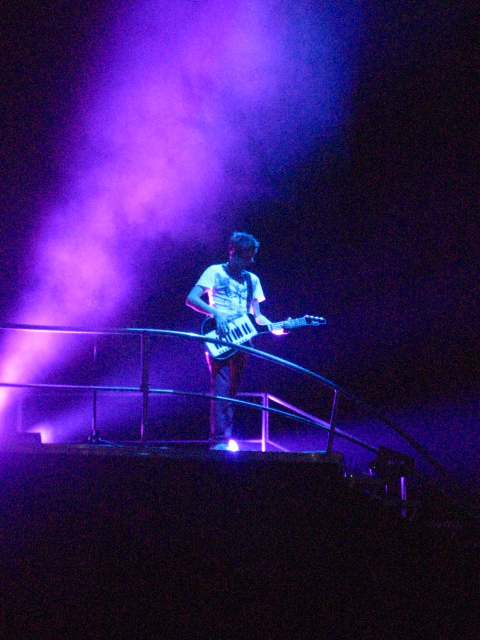 The night kicked off with their special guest Metric, whose music was used in the soundtrack for the 2010 film "Scott Pilgrim vs. the World". 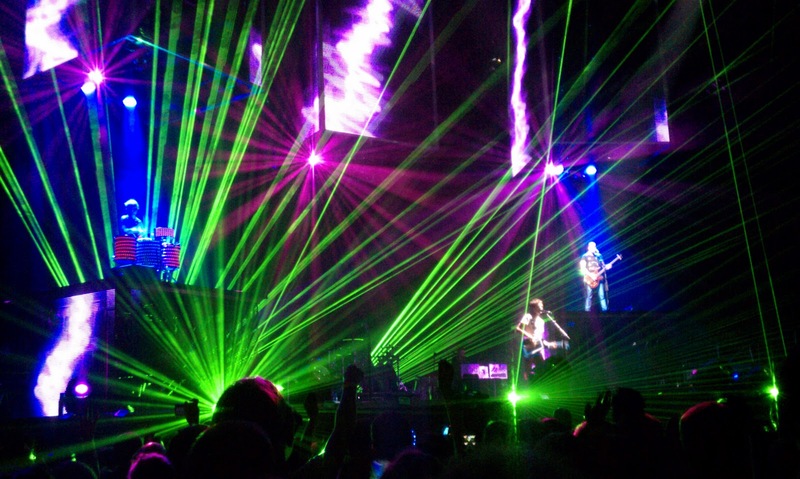 As good as Metric's performance was, there was absolutely no way to prepare for the face melting mayhem of music that Muse unleashed upon the massive coliseum of screaming fans. The clock strikes 10 and the lights go out. 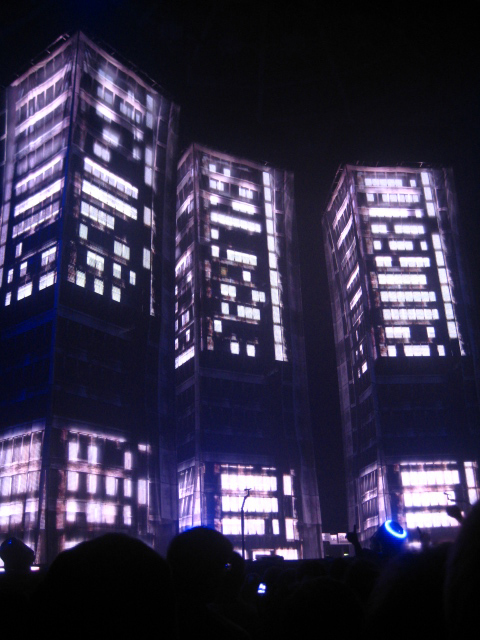 The crowd erupts with ear-piercing screams as three massive towers illuminate from the darkness. 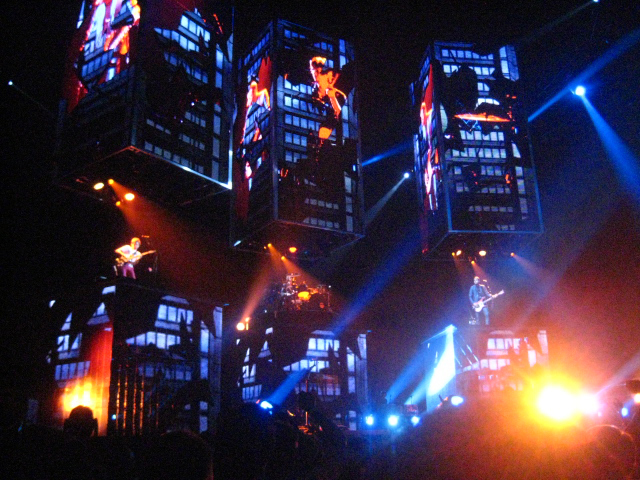 The curtains over the towers drop and the insane mind numbing performance ensues as Muse rocks out at near 30 feet in the air, high atop the mid-level part of the towers. At first glance you wouldn't think that this rock trio could fill this enormous stage but you would be dead wrong. Half way through their second song the towers began to slowly lower to the stage level below where both guitarists took off in either direction, running to both stage left and stage right where microphones awaited them both. 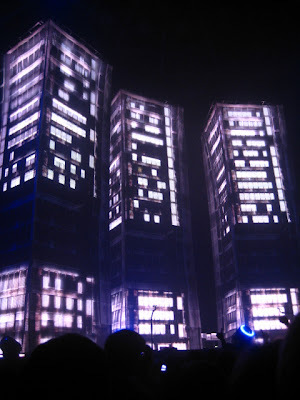 They had everything from lasers to fog, to live video being projected onto the towers, you name it! At one point in the night a bright light was shone onto lead vocalist/guitarist Matthew Bellamy's ultra reflective guitar as he beamed the light out onto the crowd like a search light. Muse is a band that is not to be missed. If you see that they are performing near you, drop what you are doing and go see them. You will not be disappointed.